Also known as dyspepsia, indigestion is marked by a feeling of abdominal discomfort after a meal. Key symptoms include pain or a burning sensation in the upper abdomen. People taking antibiotics or nonsteroidal anti-inflammatory drugs may also be prone to indigestion. Although research on natural treatments for indigestion is limited, practitioners of alternative medicine may recommend sipping ginger or peppermint tea to calm the digestive system after a meal. In a 2004 study of 208 adults with irritable bowel syndrome, scientists found that those taking artichoke leaf extract had a 41% decrease in indigestion symptoms after two months. Several studies have shown that supplements containing a combination of enteric-coated peppermint oil and caraway oil may help reduce indigestion symptoms. This formula is thought to relax the stomach muscles, as well as help food pass through the stomach more quickly. Since indigestion may signal a more serious condition in some cases, it's important to seek medical attention if you experience symptoms such as frequent vomiting; painful swallowing; blood in your stool or black stool; weight loss or loss of appetite; new or worsened heartburn; or indigestion accompanied by shortness of breath, sweating, or a pain that radiates to your jaw, neck, or arm. Due to the limited research, it's too soon to recommend any natural remedy as a treatment for indigestion. It's also important to note that self-treating a condition and avoiding or delaying standard care may have serious consequences. If you're considering using alternative medicine in the treatment of indigestion, make sure to consult your physician first. Simply slowing down while you eat may help reduce your risk of indigestion. Other prevention strategies include limiting your intake of coffee and carbonated beverages, practicing relaxation techniques such as deep breathing and yoga, and eating smaller, more frequent meals rather than two or three larger meals. Standard treatments for indigestion include antacids or medications that decrease acid production or help the stomach move food more quickly into the small intestine. Bundy R, Walker AF, Middleton RW, Marakis G, Booth JC. 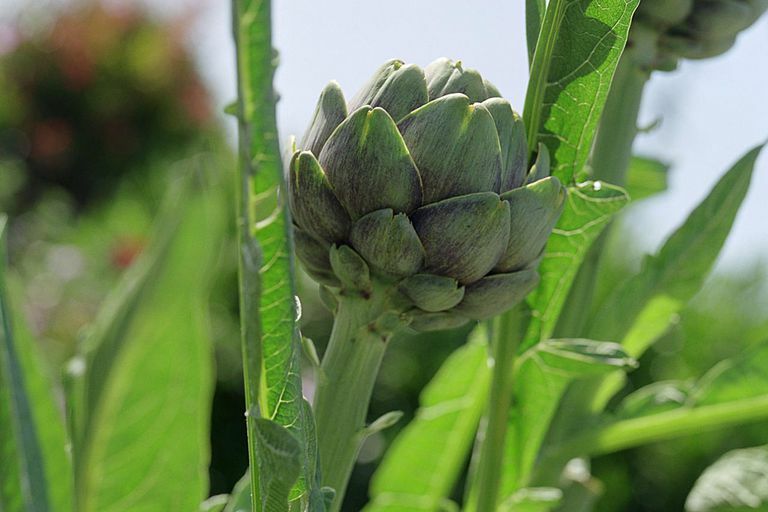 "Artichoke Leaf Extract Reduces Symptoms of Irritable Bowel Syndrome and Improves Quality of Life in Otherwise Healthy Volunteers Suffering From Concomitant Dyspepsia: A Subset Analysis." Journal of Alternative and Complementary Medicine 2004 10(4):667-9. Freise J, Köhler S. "Peppermint Oil-Caraway O il Fixed Combination in Non-Ulcer Dyspepsia--Comparison of the Effects of Enteric Preparations." Pharmazie 1999 54(3):210-5. Holtmann G, Haag S, Adam B, Funk P, Wieland V, Heydenreich CJ. "Effects of a Fixed Combination of Peppermint Oil and Caraway Oil on Symptoms and Quality of Life in Patients Suffering From Functional Dyspepsia." Phytomedicine 2003;10 Suppl 4:56-7. Madisch A, Heydenreich CJ, Wieland V, Hufnagel R, Hotz J. "Treatment of Functional Dyspepsia With a Fixed Peppermint Oil and Caraway Oil Combination Preparation as Compared to Cisapride. A Multicenter, Reference-Controlled Double-Blind Equivalence Study." Arzneimittelforschung 1999 49(11):925-32.